It seems like things are starting to return to normal. The convention season is behind us, my kids are back in school, and Nintendo is still making it really difficult to purchase their products. At least I have Supreme Court action, back from the dead fighting, a new virus breaking out on earth, and crazy vampire grandpas to keep me occupied. Dept. H #17 - Mia gets one helluva an email from Lily that details the shaky background of their friendship. The crew is close to finally making it back to the surface, but if we can trust the briefing from Lily it looks like they might want to remain under water. According to Lily, the H-Virus had another outbreak on land and is creating all sorts of havoc. I want to trust her and feel that her heartfelt email to Mia is a way to get her message out before they all die. Aaron is looking might suspicious, but I haven't nailed down a motive on him just yet. 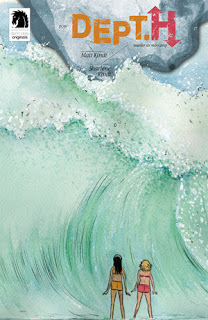 What is clear is that Matt and Sharlene Kindt have crafted a great murder mystery at the bottom of the ocean and this is a series well worth your time. 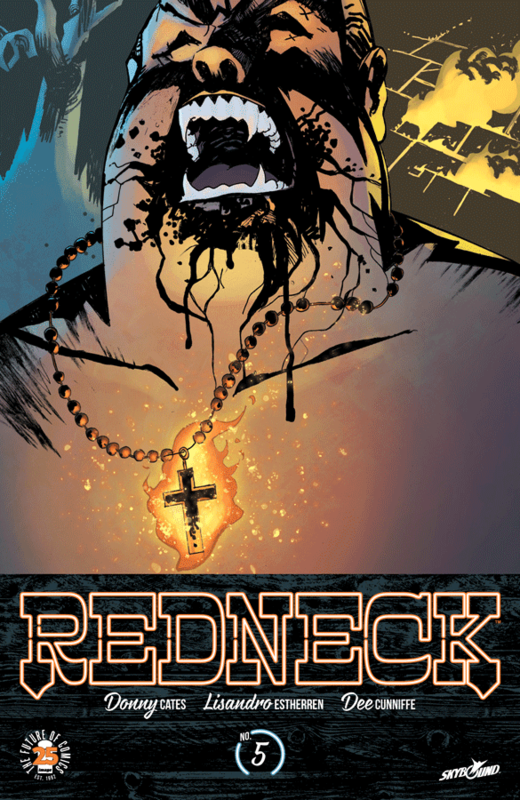 Redneck #5 - We finally learn the truth about what happened to Slap and holy hell was that brutal. Apparently not everyone in the family is on board with attempting to co-exist with humans and Slap was caught in the crossfire. This issue brought back memories of the first and makes you really appreciate what author Donny Cates is setting up. JV is pissed off and I don't think things are going to end well for anything. Add into the mix that they are accountable for turning Father Landry and are going to have a hard time remaining hidden for long. I am expecting a lot of blood in the next issue. Secret Empire #9 - We had some nice victories over the past few issues. Led by Sam Wilson, the Avengers were able to take down the planetary shield and destroy the bubble over Manhattan. 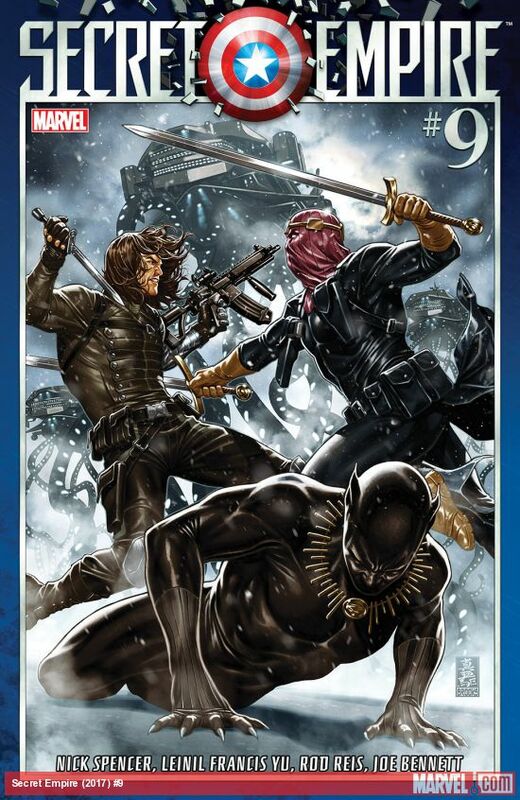 On top of that, they were able to welcome the Winter Soldier back to the team after everyone thought he was killed at the hands of Zemo. Come from behind victories and the return of seemingly dead best friends is pretty cliche superhero comic, but it is pretty cliche for a reason. When properly written and executed it is a lot of fun. Thanks to Nick Spencer and crew, Secret Empire continues to be an entertaining event that will likely have no real impact on anything other than a fun story. Issue 9 is an epic battle showing how the tides really are turning, but there is one enemy that they were never prepared to face. Captain America himself. Daredevil #25 - Matt Murdock has made it all the way to the Supreme Court. In an attempt to establish a legal precedent that masked superheros don't have to identify themselves to testify, Murdock is up against one of the best lawyers in the country and Kingpin himself. In addition to the lawyer, Fisk reaches back out to Tombstone to take a more violent approach to preventing this case from being heard. I liked watching the justices fight Daredevil in his mind as he made arguments and dealt with tough questions. 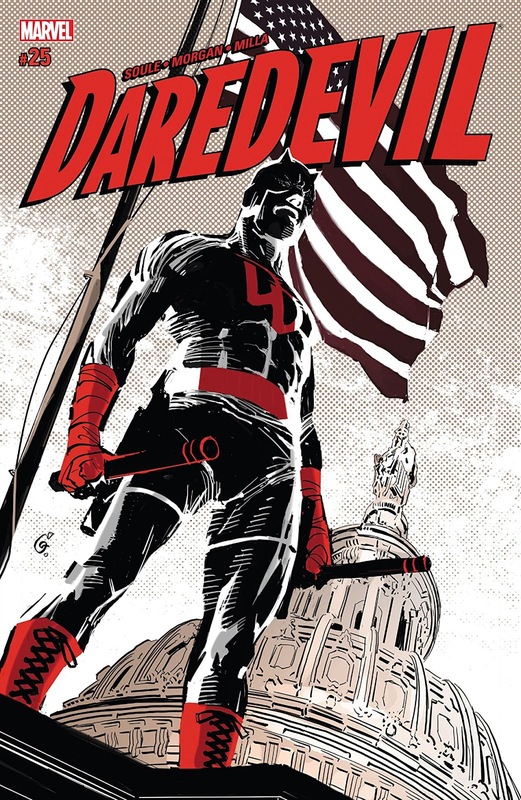 This was a fun approach to Daredevil that focused more on the law and less on him beating up bad guys with his billy club, which based on the conclusion of this issue, Plan C for Fisk involves a lot of fighting.